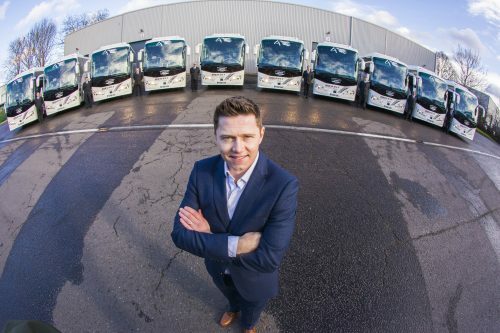 Berkshire-based coach operator, Horseman Coaches, has completed a five-year £10m investment programme with the introduction of a further 10 Euro VI Plaxton Panthers. All of the vehicles are 12.8m 53-seat executive coaches with DK8 engines and I-Shift transmissions. This forms part of an ongoing programme of investment in low-emission vehicles, employee training, welfare facilities and consistent technology advancement at the company’s modern 56,000 sq. ft. warehouse, depot and administration centre in Reading. With a fleet of 60 vehicles, split evenly between Euro VI and Euro V models, Horseman Coaches is prepared for the introduction of ULEZ (Ultra Low Emission Zone) in a few months.